Grab an umbrella and take over! 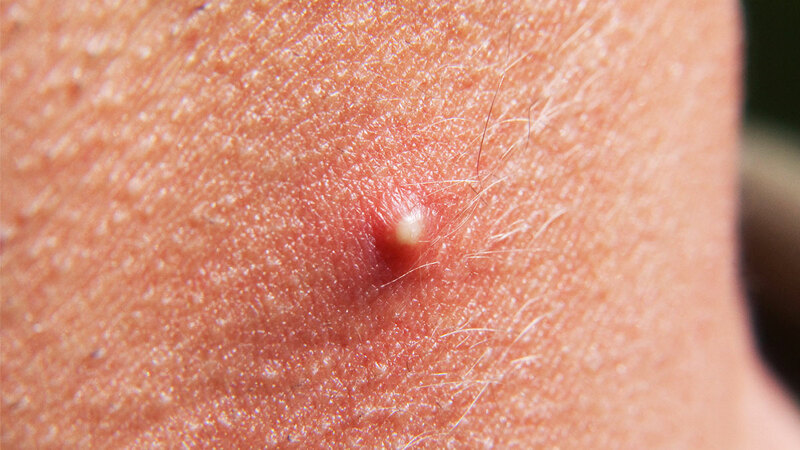 Nobody likes getting a pimple, but some people make the most of their clogged pores by creating a pimple popping video. That's exactly what you'll find at @PimplePopperVids, a popular Instagram page that features some of the most disturbing zit and blackhead removal videos you'll ever watch. This video of a person's neck pimple is especially gross—meaning you need to take a peek, obviously. As you can see in the video, the poor soul has a very large growth on the back of their neck, which oozes with pus as someone else squeezes. It's pretty bad, but one comment sums it up perfectly: "gross but satisfying to watch." If you're dealing with some gnarly zits of your own, clear them up with one of these acne solutions or visit a dermatologist.